In what would be one of their biggest hires to date, several sources have told Awful Announcing that CBSSports.com NFL writer Mike Freeman is on his way to Bleacher Report. Freeman recently changed his Twitter handle from @realfreemanCBS to @mikefreemanNFL and had hinted to followers there would be news coming about a potential move elsewhere. Freeman has worked for the New York Times, Washington Post, and Boston Globe amongst other papers and also wrote "ESPN: The Uncensored History" in 2001, a precursor to the best-selling oral history "Those Guys Have All The Fun." He had to quickly resign a position at the Indianapolis Star after admitting to inaccuracies on his resume in 2004. 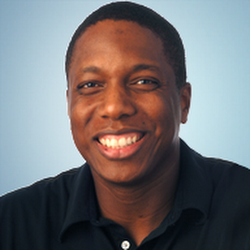 Since March 2007, Freeman has worked at CBS Sports as a national NFL columnist and insider. His most recent column for CBS was July 25th. Bleacher Report has stocked its ranks full of several bloggers from around the internet since the introduction of its Lead Writer program in 2012. Turner bought Bleacher Report last August for $175 million dollars, bringing the online outlet that has been the subject of much debate firmly into the mainstream. Since then Turner has promoted b/r as its central sports outlet with several advertisements during live sports and replacing SI as CNN's main sports content hub. Turner has yet to respond to an inquiry for comment. The hire of Mike Freeman may prove to be another watershed moment for the company. Who would have ever thought we'd see the day when a successful longterm NFL columnist at CBS Sports would move to Bleacher Report? The times they are a changin'.